Knowledge-based computing: next generation of business intelligence? Pablo Picasso once said “Computers are useless. They only give you answers.” The truth is that computers have to work very hard to provide answers to what appear to be simple questions. While we are buried in terabytes, petabytes and exobytes of data – answers and information can be very hard to come by, especially information necessary for serious business decisions. Data must be viewed in context of a subject area to become information, and analytic techniques must be applied to information in order to create knowledge worthy of taking action. The challenge is getting data into context within a subject area and applying the right analytic techniques to get “real” answers. Enter Wolfram Alpha, as an “answer” engine. Once touted as the next generation of search engine, this web application combines free form natural language input, i.e. simple questions, and dynamically computed results. Behind the scenes, a series of supercomputers provide linguistic analysis (context for both the question and the answer), ten terabytes of curated data that is constantly being updated, dynamic computation using 50,000 types of algorithms and equations, and computed presentation with 5,000+ types of visual and tabular output. Sound impressive? It could easily be a glimpse of the next generation of business intelligence and decision-support systems. Wolfram Alpha lets you input a query that requires data analysis or computation, and it delivers the results for you. It’s “curated” data is specially prepared for computation— data that’s been hand-selected by experts working with Wolfram, who go through steps to make sure the raw data is tagged semantically and is presented unambiguously and precisely enough that it can be used for accurate computation. Alpha demonstrates the real power of metadata – data about data, and the importance of semantic tags for categorizing data into a context necessary for providing knowledge and, thus, answers. Wolfram Alpha is not a search engine according to Wolfram Research co-founder Theodore Grey. It is not a replacement for Google. He says that Alpha is very, very different from a search engine. “Search engines are like reference librarians,” Grey explained. “Reference librarians are good at finding the book you might need, but they’re useless at interpreting the information for you.” Alpha takes reams of raw information and performs computations using those data. It produces pages of new information that have never existed on the Internet. “Search engines can’t find an answer for you that a Web page doesn’t have,” Grey explained. “It’s been a dream of many people for a long time to have a computer that can answer questions,” said Grey. “A lot of people may think of a search engine as that, but if you think about it, what search engines do is an extreme limited subset of that sort of thing.” Examples of how Alpha can be used today range from solving difficult math equations to doing genetic analysis, examining the historic earnings of public companies, comparing the gross domestic products of different countries, even measuring the caloric content of a meal you plan to make. You can find out what day of the week it was on your birthday, or show the average temperature in your area going back days, months or years. how quick can you see Alpha running over your data? 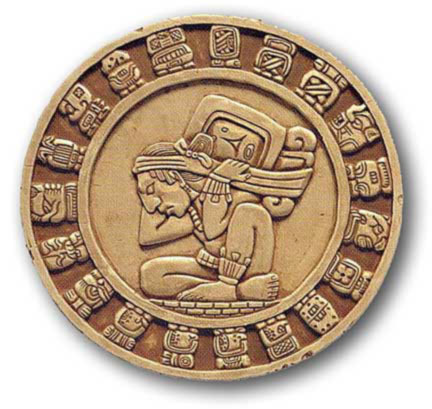 With humanity coming up fast on 2012, the media is counting down to this mysterious — some even call it apocalyptic — date that ancient Mayan societies were anticipating thousands of years ago. However, the really interesting date in healthcare will happen one year earlier. In 2011, per the mandate of Senate Bill 628, the United States will move from the ICD-9 coding system to ICD-10, a much more complex scheme of classifying diseases that reflects recent advances in disease detection and treatment via biomedical informatics, genetic research and international data-sharing. For healthcare payers and providers that have used the ICD-9 coding system for submitting and paying healthcare claims for the last 30 years, it could be apocalyptic without proper planning and execution. Conservative estimates of the cost of switching to ICD-10 are 1.5 to 3 billion dollars to the healthcare industry as a whole and nearly $70,000 for each doctor’s practice. Since 1900, regulators of the U.S. health care system have endeavored to give care providers a systematic way to classify diseases so that care processes could be standardized and appropriate payments made. Like many of the world’s developed health care systems, the United States follows the World Health Organization’s (WHO) International Statistical Classification of Diseases and Related Health Problems (ICD) code standard that is typically used internationally to classify morbidity and mortality data for vital health statistics tracking and in the U.S. for health insurance claim reimbursement. In 2011, technically, healthcare providers and payers will be moving from ICD-9-CM to ICD-10-CM and ICD-10-PCS. To meet this federal mandate, it will be essential that information systems used by U.S. health plans, physicians and hospitals, ambulatory providers and allied health professionals also become ICD-10 compliant. The scale of this effort for healthcare IT professionals could rival the Y2K problem and needs immediate planning. The challenge is that the U.S. adoption of ICD-10 will undoubtedly require a major overhaul of the nation’s medical coding system because the current ICD-9 codes are deeply imbedded as part of the coding, reporting and reimbursement analysis performed today. In everyday terms, the ICD-9 codes were placed in the middle of a room and healthcare IT systems were built around them. It will require a massive wave of system reviews, new medical coding or extensive updates to existing software, and changes to many system interfaces. Because of the complex structure of ICD-10 codes, implementing and testing the changes in Electronic Medical Records (EMRs), billing systems, reporting packages, decision and analytical systems will require more effort than simply testing data fields – it will involve installing new code sets, training coders, re-mapping interfaces and recreating reports/extracts used by all constituents who access diagnosis codes. In short, ICD-10 implementation has the potential to be so invasive that it could touch nearly all operational systems and procedures of the core payer administration process and the provider revenue cycle. A small percentage of healthcare organizations, maybe 10 to 15 percent, will use ICD-10 compliance as a way to gain competitive advantage – to further their market agendas, business models and clinical capabilities. By making use of the new code set, these innovators will seek to derive strategic value from the remediation effort instead of procrastinating or trying to avoid the costs. An example will be healthcare plans that seek to manage costs at a more granular level and implement pay for performance programs for their healthcare providers. In addition, ICD-10 offers an opportunity to develop new business partnerships, create new care procedures, and change their business models to grow overall revenue streams. Healthcare organizations looking for these new business opportunities will employ ICD-10 as a marketing differentiator to create a more competitive market position. Information and Data Opportunities – Healthcare entities that are early adopters of ICD-10 will be in a position to partner with their peers and constituents to improve data capture, cleansing and analytics. This could lead to the development of advanced analytical capabilities such as physician score cards, insightful drug and pharmaceutical research, and improved disease and medical management support programs, all of which create competitive advantage. Personal Health Records Opportunities – Using ICD-10 codes, innovative healthcare entities will have access to information at a level of detail never before available, making regional and personal health records (PHRs) more achievable for the provider and member communities. Organizations that align themselves appropriately can provide a service that will differentiate them in the marketplace. Clinical Documentation Excellence Program – Developing and implementing a Clinical Documentation Excellence (CDE) program is a critical component of organizational preparedness to respond to future regulatory changes because there could be an ICD-11 on the horizon. Healthcare organizations need to understand the financial impact that ICD-10 will have on their bottom line and begin the operational readiness assessments, gap analyses and process improvement plans to facilitate accurate and appropriate reimbursement. Without action, a healthcare organization can expect to endure “data fog” as the industry moves through the transition from one code set to another. Now is the time to choose to gain the advantage or procrastinate on the coming code apocalypse.